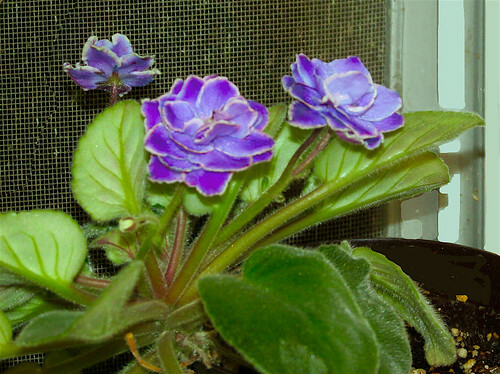 To cheer up this dreadfully cold (for us) day, my African Violet gave me these pretty flowers. thanks, I needed this. Mar. 4, 2019. Yes, I see the screens need to be replaced.